Training camps opened around the league this weekend, forcing teams to begin to show their hand on their injured players. After months of speculative reporting, the decision whether to place a player on the PUP list to begin camp is our first concrete indication of how ready a team’s medical staff believes their injured players to be. Here’s a look at a few key players who were placed on the PUP list this weekend. Tomorrow, I’ll profile those that were not placed on the PUP list. It’s been fascinating to follow the progress of Peterson’s rehabilitation in the media over the past seven months. 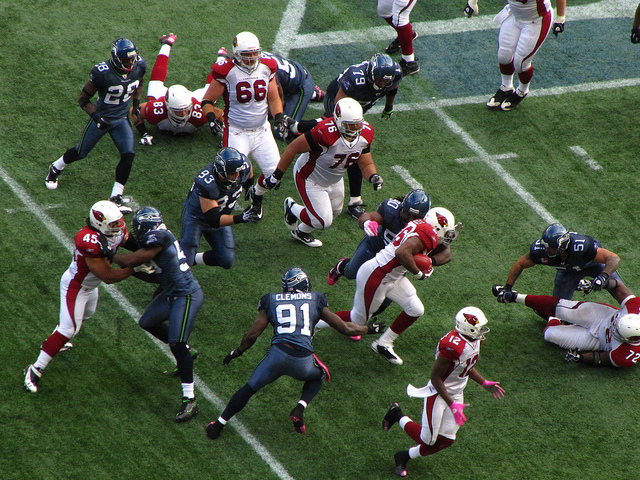 The majority of offseason reports on Peterson’s recovery were promising, from Peterson repeatedly besting his teammates in straight line sprints to keeping up with Percy Harvin in hill runs. While the Vikings’ decision to place Peterson on PUP disappointed the running back, it’s not surprising. We’re seeing elite athletes return effectively from reconstructive knee surgery earlier and earlier, but Peterson’s injury was more than a simple ACL tear. Though it’s reassuring that Peterson’s rehab has progressed rapidly, there’s no reason to push him early in camp. 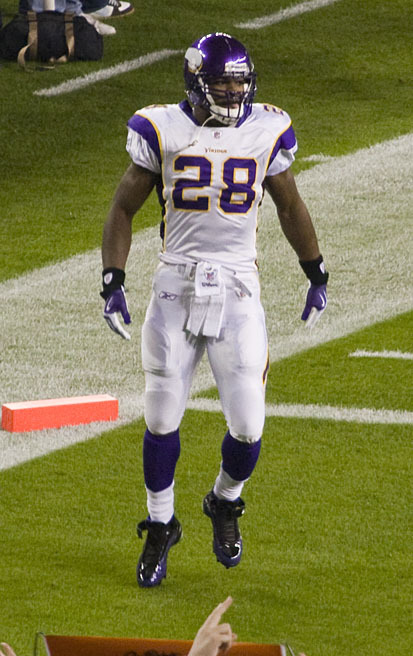 Leslie Frazier suggested today that the Vikings will activate Peterson in time to get him ready for a preseason game. Expect the team to severely limit Peterson’s practice time and preseason carries when that happens. They’ll give him just enough work to see how the knee responds to live football and contact. Winning straight line windsprints against teammates when you know exactly where you’re headed and aren’t taking hits is one thing. Reacting in traffic and taking hits in pads is entirely another. Fantasy Assessment: The decision to place Peterson on the PUP list doesn’t change his fantasy outlook. Continue to temper your expectations (which for me means slotting him in RB1 Upside with Risk tier / RB 10-15 range) until we see how soon and how well he responds to contact. No surprise here. Nicks is reportedly antsy to get back on the field after smoothly progressing through his rehab thus far, but the Giants will continue to play this conservatively. Nicks is nine weeks into his expected 12 week rehab period and has yet to be cleared to run or cut at full speed. The best case scenario for him remains a mid-August return and limited participation in the team’s final preseason games. Fantasy Assessment: I’d keep Nicks a tier below his true ceiling until we see him make it through a full week of contact without a setback. Though it’ll be important to see how his foot responds, the risk of a compensatory or conditioning injury (e.g. hamstring or groin strain) is a higher concern. Unlike Peterson and Nicks, Britt’s recovery has been anything but smooth. Britt had arthroscopic surgery to clean out scar tissue that was limiting the progress of his rehabilitation in May. He had another arthroscopic procedure in late June after his left knee began acting up while rehabbing his right knee. An arrest for DUI in mid-July certainly isn’t inspiring confidence either. Britt has yet to be cleared to run after last month’s left knee surgery and his rocky rehab to date suggests that he’s not a candidate to come off the PUP lists anytime soon. Like Nicks, Britt will also be at high risk for a compensatory or conditioning injury in his 7-14 days back. Fantasy Assessment: The procedure to remove scar tissue wasn’t a major issue. The recovery from a torn ACL should already have tempered fantasy expectations. Add in a procedure to the other knee that has necessitated a rehab period of at least four weeks already and another DUI arrest and Britt continues to fall further on my board with each passing day. Still think Wells just had a simple cleanout procedure seven months ago? I took a fair amount of grief in May for speculating that Wells’ January knee surgery was more than the simple cleanout procedure that was being suggested and arguing that he may well have had microfracture surgery. Nearly eight months later, Wells still isn’t ready to practice and there’s no clear timetable for his return. It’s the lack of a clear timetable that should raise red flags. As I wrote in May, microfracture surgery isn’t an apocalyptic sign for a running back. It wasn’t the procedure itself that prompted my blog post. It was the disconnect in the timetable and reports. However, it cannot not be considered a good sign that his rehab has now passed the usual 4-6 month recovery period for a microfracture (or other complicated meniscal surgery) procedure. Fantasy Assessment: Wells may be activated from the PUP list next week and finish the season as a RB2 or better. But I don’t like the progression of the facts in this case one bit. The early successes of Ryan Williams in camp are further cause for concern. Barring a major turn of events, I wouldn’t draft Wells as anything more than a RB3 with Risk this year. Not good. In June, all signs pointed to Best being cleared for camp as he said he was symptom-free. Now, despite having been cleared to work out with the team, he’s forced to the PUP list after not meeting the criteria for being cleared for contact. I’m not willing to speculate on the details of his symptoms or those criteria, but it’s not at all a good sign that he’s yet to be cleared for contact nine months after his previous concussion. Calling him day-to-day may be accurate at this point, as he could be cleared at any time, but it’s misleading. As I’ve written previously, there’s no clear evidence that a player who has fully recovered from a previous concussion is more likely to sustain another than a player who has never had a concussion. But it’s getting harder and harder to accept that Best can be considered fully recovered if his subtle symptoms continue to linger. And it’s highly likely that another concussion will end Best’s playing days for an extended period and possibly permanently. Fantasy Assessment: Best is tempting. He’s talented and a perfect fit for the Lions’ offense. In PPR leagues, he’s proven to be a borderline RB1 when he gets 15-20 touches. But there’s too much risk to take him as anything more than a flyer pick for those willing to take on the durability risk. Since I won’t be willing to take him as more than a RB5 without some unexpectedly good explanation for his delayed clearance, he’s effectively off my draft board altogether.